Amidst a constantly changing world, Nathan Shoff aspires to relieve his client’s stress and alleviate any concerns about the future. Throughout almost a decade in practice, Mr. Shoff has found that proper planning and careful administration of your estate are not merely good financial decisions, but also integral to supporting family harmony and ensuring your loved one’s care. He is committed to attentively counseling each client, in order to provide individualized guidance tailored to the unique circumstances of each family. With these principles in mind, Nathan is confident that he can provide thorough and objective legal care. Nathan began practicing law in Buffalo, New York in 2007 before moving to the Finger Lakes in early 2008. 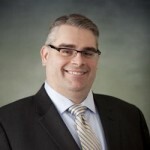 At that time, Mr. Shoff served as a legal editor with Thomson Reuters Legal in Rochester, New York, and subsequently opened a solo legal practice in Bloomfield in September 2011. In April 2016, Nathan joined the Law Office of Michael Robinson, P.C. and is based in our Naples office. Nathan is currently a member of the Monroe County Bar Association, the Ontario County Bar Association, and the New York State Bar Association.